Concrete stains, epoxy floors, resilient flooring, commercial flooring, industrial floors, countertops, Dallas, Fort Worth, Austin, Houston, San Antonio, Texas, Home Remodeling, Flood Damage Repair, floor removal, resurfacing, stained concrete, overlays, resurfacing,Concrete Contractoe, concrete stamping concrete staining,Industrial Tough Epoxy Sale!,Concrete Designs, Logos, Custom Tile Patterns. After Removing Carpet and Tack Strip, We Applied a Troweled Overlay and Stained with Black And Brown Hues on a Troweled Overlay. Removed the linoleum floor before applying a troweled overlay. Then stained with Cola, High Gloss Industrial Sealer. 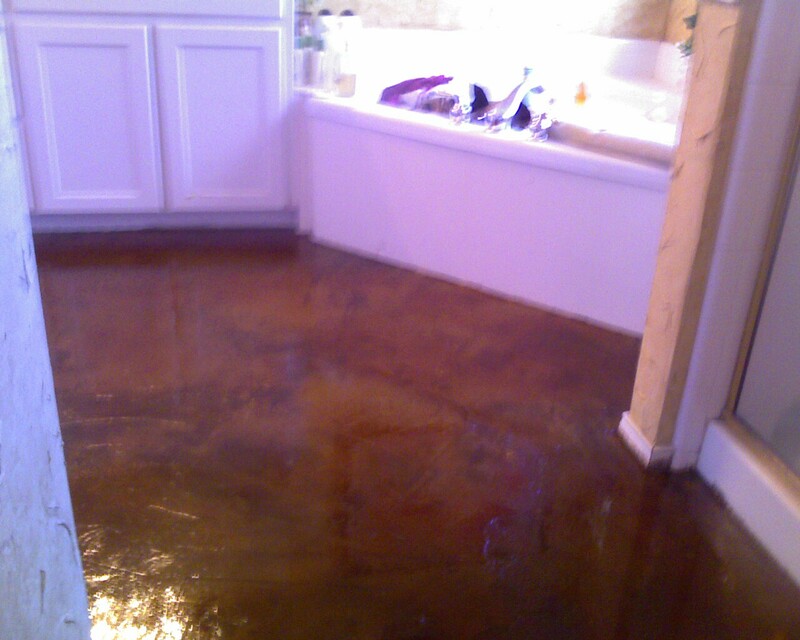 Acid stain flooring is virtually maintenance free for a carefree lifestyle. Simply damp mop as needed. Those suffering from allergies find acid staining especially appealing and a welcomed change from deep pile carpeting. 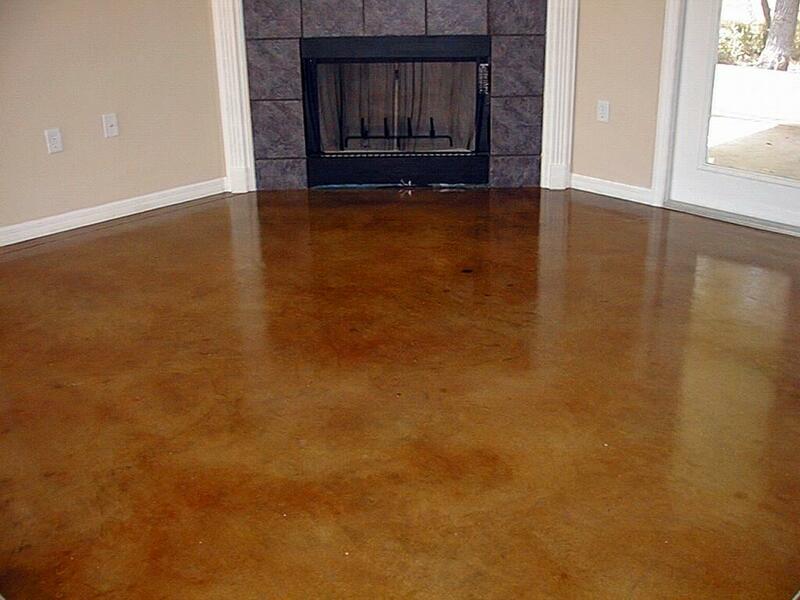 OUTSTANDING DURABILITY: Acid stains surpass all other concrete coatings in terms of resistance and long lasting durability. They will not chip, fade or peel off the surface to which they are applied especially when they are sealed or waxed. After Removing Carpet and Laminate, We Installed a Troweled Rustic Overlay and Stained Concrete With Cola and Black With a Finishing Industrial Sealer to add Pizazz and Class! ALL ACID STAIN DISCLAIMERS NOTE: Acid Stain Coloration Systems create translucent color effects, and are not designed to, and will not hide surface discoloration, blemishes, impressions, cracks, markings or other construction variables. We call this character. Every effort will be taken to assure the customer receives the right color that the customer has chosen, there should be character expected,with any stain or overlay and welcomed, also inconsistencies in the color will occur and should be expected. (we call this character ) and is a wonderful part of the stain process. Available in eight colors, Kemiko Stone Tone Stain is the perfect choice for both interior and exterior surfaces. 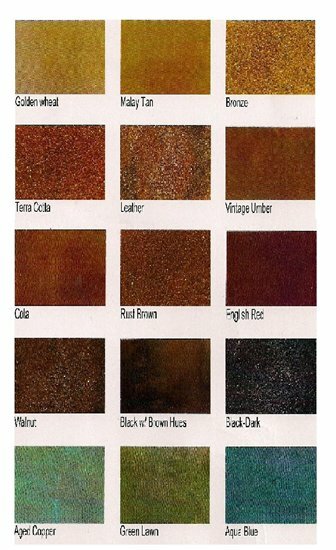 Often used for commercial purposes, concrete staining lends a clean, attractive look to driveways, patios, walkways and entrances. It is perfect for high-traffic areas and is very affordable. Kemiko Stone Tone Wax or Sealer can be applied to further enhance depth of color and provide surface protection. We look forward to assisting you or your client in creating beautiful, durable, and affordable stained concrete projects. Color results may vary. Contact BRANDON For a Free Quote! Let us help you install the Ultimate Dream Floor!